Private practitioners are listed in alphabetical order. 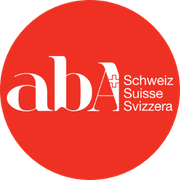 Whilst ABA Switzerland take great care to verify its members with the BACB, this list does not confer or otherwise verify that an individuell is in good standing with or holds current certification with the BACB. The BACB is the primary and only source of official verification that a person is certified by the BACB. You can check the BCBA/BCaBA Registry to verify a practitioners certification status by clicking here. Should you wish to have your information added to the swiss private practitioners list you may contact us here. I provide ABA/VB coaching for families with children with autism spectrum disorder and with other developmental delays and communication difficulties. I also offer ABA/VB coaching and workshops for professionals, schools, pre-schools and other institutions. I am working under the supervision of Dr. Katerina Dounavi, BCBA-D. Provides services in: EN, ES. Area of service provision: Zürich and surrounding areas. Area of service provision: Mainly in region Vaud, distance supervision may be discussed upon request. Consultation for other caregivers i.e. sport’s clubs leaders, children’s clubs, camp counsellors, daycare staff, play group leaders. Area of service provision: German speaking Switzerland.